Opened in 2008, Cedric Theel’s new facility is quite a step up from their previous 27,000 square foot building constructed in 1971 on Main Avenue. This new building is nearly 50% larger, and the lot size is much larger too. 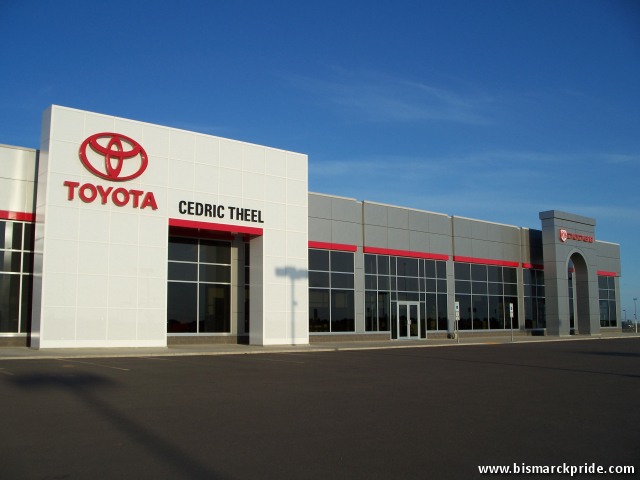 Cedric Theel currently carries the Toyota and Scion lines, but had also carried Dodge until the recent Chrysler reorganization. The Dodge sign still remained on the building as of August 2009.